Looks like a semaphore chart to me. Except it isn't semaphore. I'd better put this one to rest before the Brits. a code used in a book -- The Adventure of the Dancing Men, a Sherlock Holmes mystery. Because it is October let's have some scary pictures. Please name these pictures for a prize. What movie was this wicked witch in? Mr./Mrs. Spidey there is a Wolf spider. A nice one that even eats roaches. A flour sifter, of course. The pamphlet says rock polisher, though I'd call it a small tumbler. 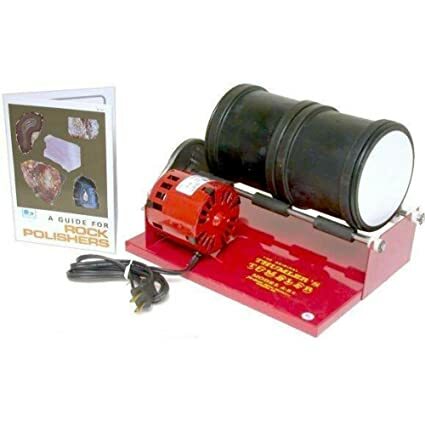 My son had a rock tumbler as a Christmas present - it is bloomin' noisy so it is at my mother's still! Taht`s a flour sifter - I still have a working model! Hint: My latest high-tech acquisition. Butterflies, that cuts a pill in half. Correct, convenient, but doesn't really do any better than my kitchen knife did. with capsules - that makes a mess! find any evidence of it anywhere, except for the notice! Tagged is where somebody uses the @ sign followed by your username so kannik produces your name that is tagged. Thank you, Alyn, but can I see where I was tagged and maybe why?